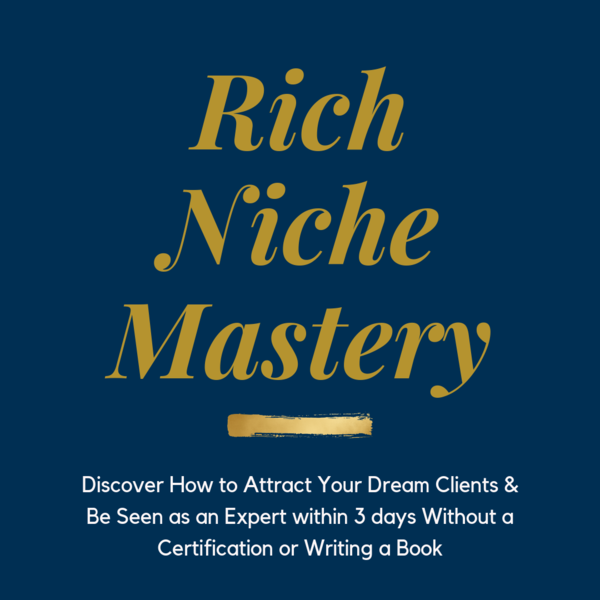 The rich niche mastery course is for people that struggle to attract their dream clients. It helps you discover the most profitable niche for you, and how to use your unique messaging style to speak directly to your clients and position yourself as an authority. You’ll be taken through ‘The profitable nice picker training’ and the ‘dream client psychology training’. After this you also get bonus material that will help you understand your client better so you know how to best serve them.